As featured in the South Hams Gazette, Friday March 3rd 2017 - Would you like to own a home right in the centre of Kingsbridge? 60 Church Street is your opportunity to own a charming period property on the very desirable Church Street. 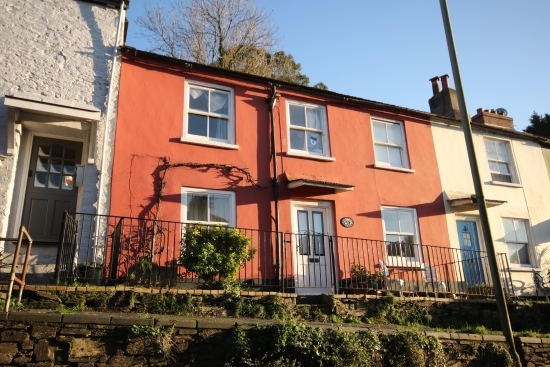 The property is a traditional double fronted period cottage, in an elevated position, benefiting from a sought after rear garden. As you step through the front door you are greeted by the feel of a welcoming family home with period features. Off the hall there is a spacious kitchen/dining room and a large, yet cosy, sitting room with an open fireplace and exposed ceiling beams. There is a downstairs bathroom and utility room also on this floor. Upstairs the cottage has a spacious master bedroom and 2 further single rooms and in addition there is another shower room. To make this the perfect family home for you it also has a rear courtyard garden, with steps up to a timber summerhouse affording far reaching westerly views over the town. 60 Church Street is offered for sale at £270,000. For further information, please contact Marchand Petit’s Kingsbridge office on 01548 857588.